Shalom Sesame: The Land of Israel is the first episodes in the Muppets special edition series, Shalom Sesame, an educational journey through ancient and modern Israel. Kids meet old and new Muppet friends on "Rechov Sumsum," the Israeli version of Sesame Street, including Grover, Cookie Monster, Moishe Oofnick the grouch, and Kippy ben Kipod, a large porcupine. 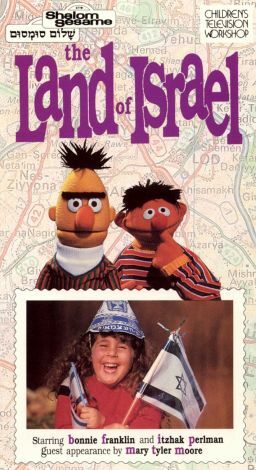 In Shalom Sesame 1: The Land of Israel, Muppet characters take kids on a whirlwind tour, introducing the cities of Haifa, Jerusalem, Tel Aviv, Metulla, and Caesaria. Children experience the excitement of Israeli city life and the peaceful silence of the desert region. Along the way, the Muppets help viewers make many new friends.